Angelique Kerber is the first German Grand Slam winner at the Porsche Tennis Grand Prix. Currently the world No. 2, she heads the WTA’s sign-up list. She is the title-holder and one of eight top 10 players due to appear in the Porsche Arena from 16 to 24 April. Obviously Angelique Kerber would just love to drive the sports car on Centre Court in the Porsche Arena after the final. However, she will be up against stiff opposition as the 39th edition of the Porsche Tennis Grand Prix – under the motto “Perfect Match” – has once again attracted the stars to Stuttgart. In addition to Porsche Team Germany’s No.1, seven other players ranked in the top 10 will also be competing: Agnieszka Radwanska (Poland), winner of the 2015 WTA Finals, Simona Halep (Romania), Garbine Muguruza (Spain), Carla Suarez Navarro (Spain), the multiple Fed Cup winner Petra Kvitova (Czech Republic), Roberta Vinci (Italy) and the Swiss shooting star Belinda Bencic. One player to have always thrilled many fans in Stuttgart is Ana Ivanovic from Serbia. Unforgotten is her appearance in the 2014 final when she and Maria Sharapova served up one of the best and most exciting finals in the history of the Porsche Tennis Grand Prix. At the end she was given a standing ovation lasting minutes on end. A top 20 player, she will be joined in the Porsche Arena by Karolina Pliskova (Czech Republic) and Lucie Safarova, who won the Fed Cup in 2014 and 2015 with the Czech Republic. Also competing will be Sara Errani (Italy), who, together with Roberta Vinci, is a five-time doubles Grand Slam winner and the winner of the 2014 Porsche Tennis Grand Prix doubles title. 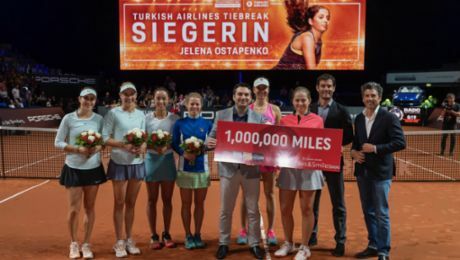 The extent of the status the Porsche Tennis Grand Prix enjoys amongst WTA Tour players is demonstrated by the fact that they voted it their favourite tournament in its category in 2015 – for the seventh time since 2007. 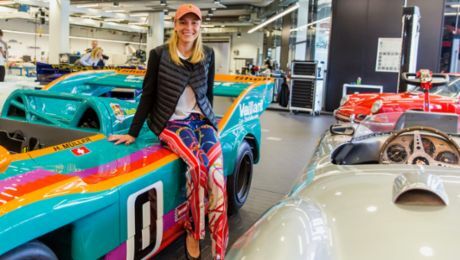 In addition to Angelique Kerber, other players belonging to Porsche Team Germany are also looking forward to appearing in front of their fans in the Porsche Arena. Also entered are Andrea Petkovic, Sabine Lisicki, Annika Beck, Mona Barthel and Julia Görges, the surprise 2011 winner. The Porsche Tennis Grand Prix is also a season highlight for the up-and-coming youngsters supported within the Porsche Talent Team Germany set-up. Anna-Lena Friedsam is sure to have the best chance of securing a main draw berth via qualifying. The current German champion recently reached the last 16 at a Grand Slam for the first time in her career at the Australian Open and is currently on the threshold of breaking into the world top 50. On the opening day of the tournament proper, the ladies will play host to two men – and tennis history will come alive in the Porsche Arena. Germany’s Michael Stich and the American Michael Chang will serve up the traditional and eagerly-awaited Berenberg Classics Duel of Legends – held in conjunction Porsche Tennis Grand Prix – on April 18. Michael Stich is the last German Wimbledon men’s champion (1991 in singles, 1992 in doubles with John McEnroe). Michael Chang wrote tennis history when he claimed the 1989 French Open as 17-year old “unknown”. Tickets for the Porsche Tennis Grand Prix and the Berenberg Classics can be booked on the phone (+49 711 / 2 555 555) or via the internet at www.easyticket.de. The Porsche Brand Ambassador has fulfilled the dream of winning at Australian Open.